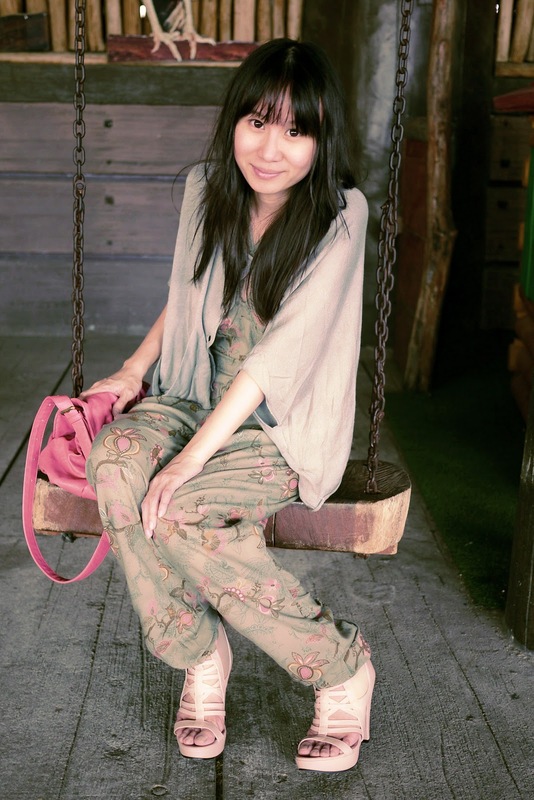 My outfit was inspired by the mori girls (森ガール) of Japan. 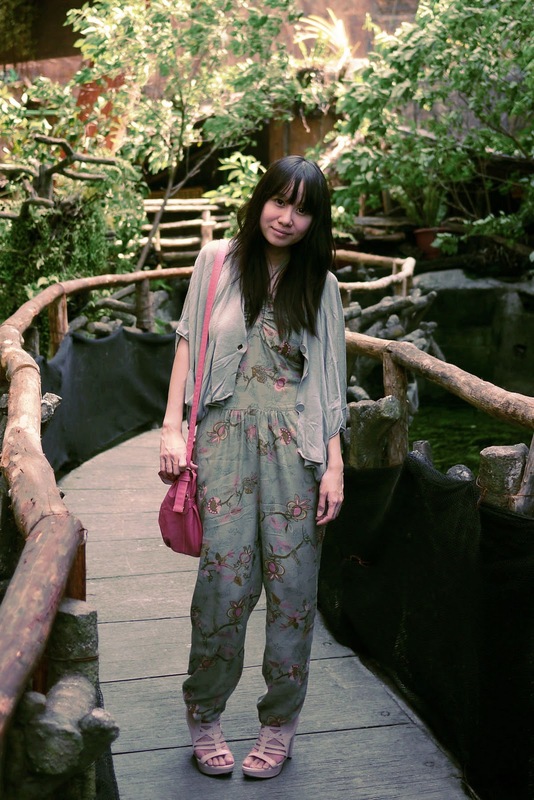 I guess it's because of the colours & print of my jumpsuit that made me think about them. Paired my jumpsuit with a grey knitted cardigan cape to add a flowy silhouette to the outfit. Continued the soft colour palette with pale pink heels & pink shoulder bag. 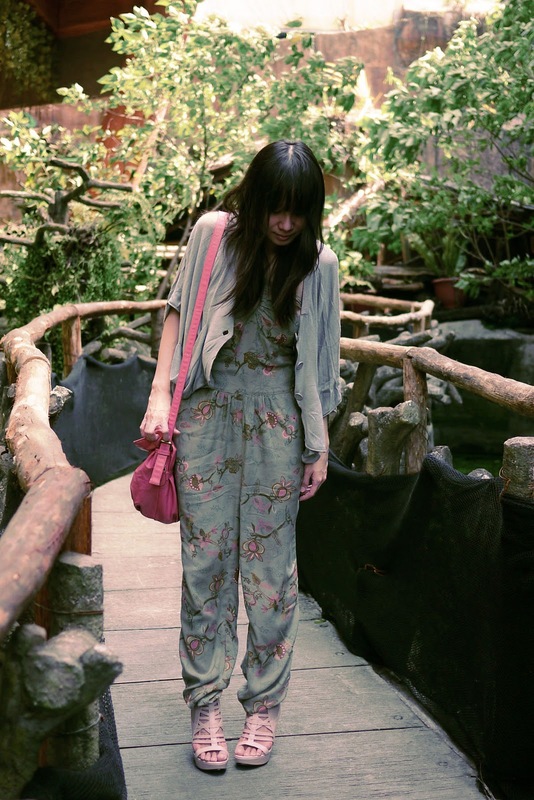 you look like you're in japan or tokyo :) lovely outfit, Lloyda! such a pretty jumpsuit. and i love the muted colors of this outfit. Omg, what's your shoe size? Parisian Jr.? hi julian! yup parisian jr. :) i'm a size 6.
great photos lloyda! love the jumpsuit and Parisian heels! It's so relaxing to watching your outfits. I really like it!